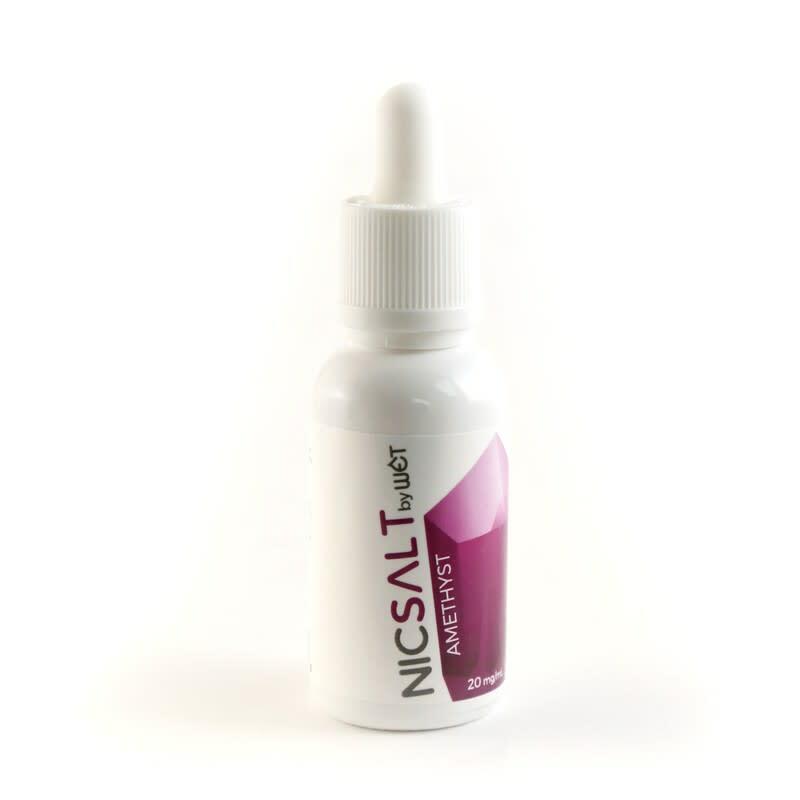 Amethyst Nic Salt is a combination of rich berry flavors with a cool finish - strawberry, blueberry, grape, and mint. Amethyst Nic Salt is sweet combination of blueberries, strawberries, and grapes with a hint of mint. Rich berry flavor with a cool finish. its my new go to flavour. it took a long time to find but i have moved from freebase nicotine to nic salts now. this flavour combined with my suorin has helped me reduce the amount of vape i put in my body. i take short puffs and vape 40mg nicotine. surprisingly its way smoother than the 6-8mg nicotine iw as using with regular e-juice and my ijoy mod. Kinda fruity, kinda minty, 150% delicious! This juice taste exactly like 180 Smoke’s Berry Blast e-liquid. I’m using it in my Aspire Breeze and love it. Flavour profile is on point as described, and the menthol exhale is just perfect, not strong at all. I stopped using Nic Salts when I got rid of my Breeze but I LOVED THIS. Pleeeeeeeeease make this with regular nic! I picked up Amethyst for when Im wanting a cool fruity vape in my mtl rta. This mix of strawberry, grape, blueberries and mint does all that and has a nice throat hit that I find very satisfying.